With the changing landscape of today’s healthcare environment, now more than ever, quality, innovation, and process improvement are vital elements to the success and competitive edge of healthcare facilities. The Clinical Nutrition Management DPG believes that dietetics professionals are at an exciting yet vital juncture whereby we need to support and contribute to the quality outcomes of our patients, which in turn benefits our healthcare institutions. 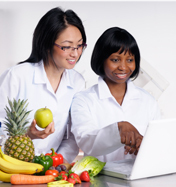 The intent of the Quality and Process Improvement Sub-Unit is to educate Clinical Nutrition Managers on the various healthcare quality standards, measures, and tools. The Sub-Unit also intends to share both proven and cutting-edge process improvement methodologies and resources. We hope you find the information beneficial to your practice. Plan to participate in our annual QPI Award Contest! We'll post 2019 details in the fall. Please revisit the site periodically for updates and new information. Also, if you should have any ideas for enhancements or feedback we’d love to hear from you. We want the QPI sub-unit to be as beneficial and robust as possible.